Already a month into the New Year, most likely by now, most fans of the sweet science in the Philadelphia area would have had at least one local show they could have attended. Despite the slow start to the local pugilistic schedule, starting on February 8th fight fans will have seven shows to get excited about. The shows that will take place in the months of February and March have just about everything a fight fan could ask for. Local promoters, who are always active in the area, will be joined by two of the major promotional outfits. This means that before the summer months hit, sports fans just getting over the disappointing end to the Eagles Super Bowl defense that await the start of the Sixers play-off run, will have something to be excited about. Along with the hopeful addition of a mega star to the Phillies starting lineup this summer, there will be plenty of fist fights to enjoy before heading “down the shore” starting Memorial Day. The show that kicks-off the year is being dubbed the “Philly Special” by its promoter Michelle Rosado, the head of Raging Babe. Rosado has been a main stay on the local boxing scene for years now as the understudy of Hall-of-Fame promoter Russell Peltz. This time, it is Rosado that is the promoter in charge of the event. While this is her first show in Philadelphia, she is no stranger to putting on successful shows in North Carolina and Arizona. From the looks of the lineup of fights scheduled, “Philly Special” looks to be no different from her other successes of providing fans with entertainment. Bantamweight prospect and South Philadelphia native Christian Carto begins to make the transition from highly touted prospect into serious contender. This fight against the veteran and always game Victor Ruiz is the perfect match up to begin that transition. Carto continues to forge a bond with his new trainer the respected Billy Briscoe, whom Carto has been with already for a couple fights. It tends to take a few training camps and in fight situations for a fighter and trainer to click, so against Ruiz we will look to see if this relationship is indeed on course to make the bright future for Carto a reality. Ruiz can fight and always likes to be in a fight, don’t let his ten-loss record fool you. He is no easy fight for any prospect or contender and has been in with some of the best in the world, even if that was three pounds south of bantamweight at super flyweight. Also, on the card will be the heavyweight prospects both fighting out of Philadelphia, Darmani Rock and Sonny Conto. While they will both be fighting in separate bouts, Rock, like Carto, is looking to turn the corner from prospect to contender, while Conto will be taking part in his first professional fight. Conto, like the headliner Carto, hails from south Philly and when you couple his amateur success along with his optional draw power at the box office, it’s clear why Top Rank signed him to their stable. 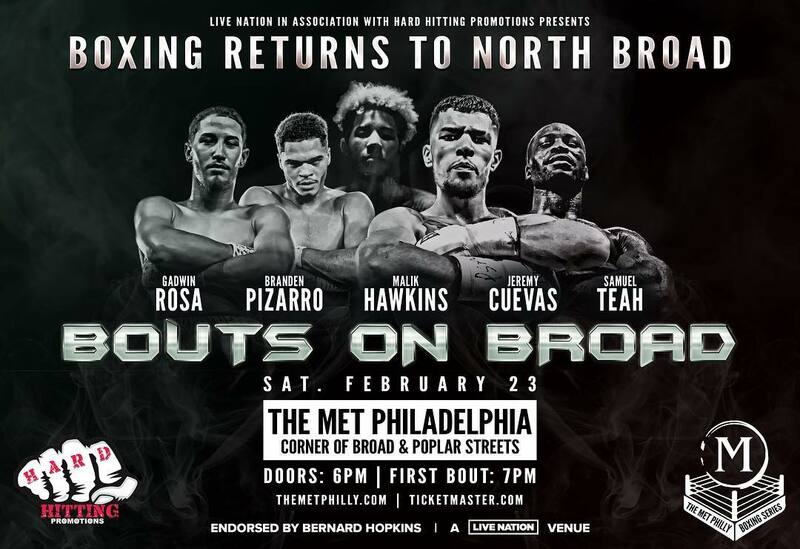 In the tradition of Philadelphia vs. Philadelphia fights, The Met Opera House will host its first boxing event for the first time since 1954. Of course, the Met recently reopened after $56 million was spent on restoring the venue which opened over a hundred years ago. This card, presented by local powerhouse Hard Hitting Promotions, looks to be the first in a series of cards to be held at this historic venue. Along with help from Live Nation, Hard Hitting may have found the right partner to help take their young stable into new markets. Cuevas taking on Ortiz tops the bill in a battle between two lightweight prospects that regardless of the outcome of this fight are poised to eventually become contenders. Kudos to each fighter for not waiting to fight each other and deciding to take on the challenge the other presents at this point in their young careers. These are the types of fights that once made Philadelphia a great fight town and helped to propel each fighter’s career. From a stylistic standpoint, Cuevas and Ortiz should not disappoint. Both fighters have boxing skills but have the internal makeup of a warrior and don’t shy away from a firefight. With the PA state lightweight title on the line and bragging rights in the city at stake, this should be a fun one, while it lasts. Hard Hitting’s stable will also be featured on this card. 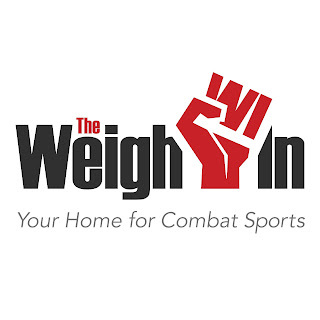 Super lightweights Teah and Wiggins will battle for the PA Super Lightweight Title, and lightweight prospect Brenden Pizzaro continues to try and improve his winning streak since his lone defeat. This time, Pizzaro will be in a better match-up as the fights begin to increase in difficulty. Baltimore native Malik Hawkins returns for the first time in close to a year. Since his victory over former prospect and fringe contender Ray Serrano, Hawkins has been on the shelf, but he looks to return with a statement victory. 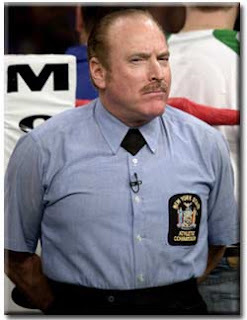 Do not, I repeat, do not let the records of the fighters mentioned above on this card give you pause. 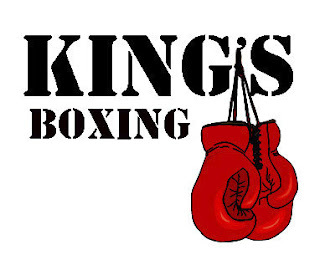 If there is one thing that the always enjoyable Kings Promotions knows how to do, it’s match up their fighters in exciting fights regardless of records. These two fights that headline this show are no different. 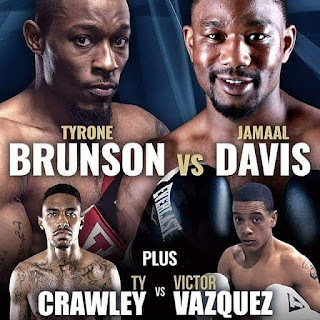 Brunson is coming off his appearance on the Contender and is looking to make one last push towards title contention. With the type of power he packs in his punches he will always have a chance to win fights, and against Davis he looks to start his path towards bigger fights at 154, which he hopes lands him in championship opportunities. Vazquez was last seen in a brawl with Anthony Mercado late last year. He has a fun style to watch and always presses the action, which should blend well with Crawley, the constant moving boxer. 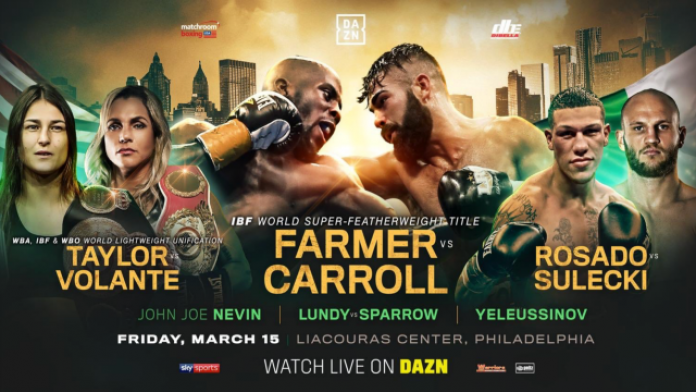 Two fights in the Philadelphia area on the same night can be a tough thing, especially when fight fans must be split on which show to purchase tickets for. This night will be no different, but at times that is one of the setbacks when booking dates in advance. Promoters are forced to take dates from certain venues they have relationships with, regardless of what other promoters may be planning. With that said, Joe Hand Promotions will return to the Xcite Center at Parx Casino on Street Road in Bensalem. Parx is located right outside of the Northeast city limits and is a great venue to watch fights. As for the fights, Wilson and Howard should produce excitement while the fight lasts. Both fighters enjoy a good fight and taking a backward step is not something they either plan on doing. If you’re looking for fighters that like to exchange punches (sometimes to their detriment), this fight is one you shouldn’t miss. Isiah Wise is always looking for a good scrap in his own right. He has improved on utilizing his jab to setup power punches more and has improved on moving his head. This is of course until he gets hit and decides to return power shots, which is always fun for the fans watching. Add the fact that he always brings a good crowd out and its always a fun night out to watch one of his fights. For the fan that enjoys a slick boxer that likes making his opponents miss and counter, Jerome Conquest makes his long-awaited return to the ring after suffering some foot and leg injuries that kept him on the shelf for a large part of last year. Conquest looks to be more active this year as he defends his WBF lightweight strap. This is a huge fight card that will be coming to Philadelphia’s Temple campus. Since Matchroom Boxing USA has burst onto the scene last year with their streaming partners DAZN, they have provided consistent content, while continuing to bolster their stable of world class fighters. This St. Patrick’s Day weekend show just from the look of it, along with the kick-off press conference this week, proved that this should be nothing but a successful night of entertainment for fight fans. Since joining Matchroom USA, Farmer has become the most active fighter in recent memory. This will be his third title defense since winning the championship back in August. Most current champions wouldn’t have had their first defense at this point. To Farmers credit, he is not waiting around to fight the bigger names in his division; instead he is properly focused on his own career and is fighting top level contenders to stay sharp as he awaits the bigger names. Carroll, as he showed at the presser, is game for this challenge and since he hails from Ireland, looks to fulfill his dream. Katie Taylor looks to unify the lightweight division in her fight with Brazil native Rose Volante. Taylor like Farmer continues to be an active champion and a victory to unify the division gets her one step closer to undisputed status at lightweight. Also, with bigger names out there like Amanda Serrano (Taylor beat Amanda Serrano’s sister Cindy) and Heather Hardy, a victory for Taylor will continue her march towards the top of the pound-for-pound list. 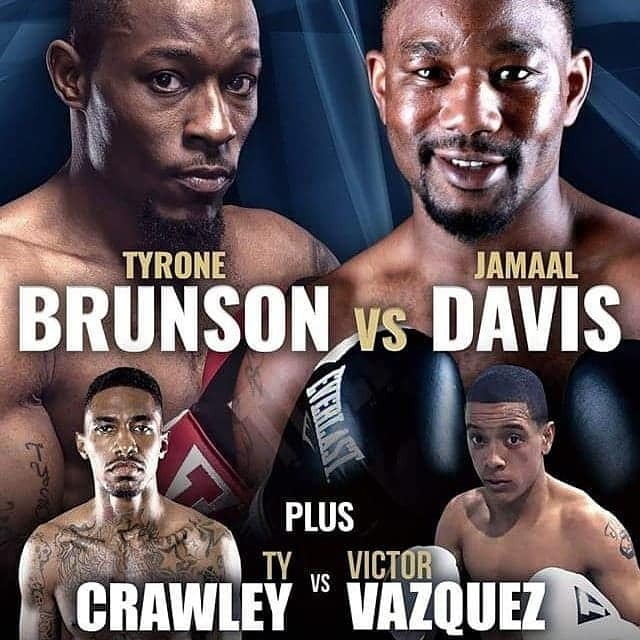 Philadelphia fighters will be the theme for the rest of this card. Lundy vs. Sparrow is a classic fight between the seasoned veteran, Lundy, and the upstart looking to make a name for himself, Sparrow. Both fighters love to talk and believe that their opponent is a step towards bigger and better things in the future. Gabriel Rosado, Philly’s real life Rocky, as always, is fighting a tough fighter in Sulecki. Sulecki’s only loss came against current IBF Middleweight Champion Daniel Jacobs. This will be a great fight full of action. A victory for either man puts them a stone’s throw away from the champions in the middleweight division, which are for the most part fighters in the DAZN atmosphere and shouldn’t be hard fights to make. Okay so like it was mentioned earlier, Kings Promotions will deliver yet another solid local show in Philadelphia, this time it will take place from the ballroom at Sugar House Casino. Yunusov is a former three-time Olympian from Tajikistan that has proved so far that making the transition into the paid ranks has not been an issue for him. He is a southpaw that has a powerful straight left and fights in a similar style to another former decorated Olympian also in the lightweight divisions. At the age of 31, Yunusov will need to make a quick move from prospect to contender. Mercado, Robinson, and Spring are all fighters that bring out good fan support for their fights. Mercado holds a recent victory over Victor Vazquez in a fight that was a pure war, while Robinson is coming back from a war himself, in the fight of the year for Philadelphia, although he was on the losing end of things. Spring is a solid boxer that likes to frustrate his opponents with his jab and movement. While the site has yet to be officially determined or announced by Top Rank, sources have told TWI that this card will land at the 2300 Arena. “The Nail” Gvozdyk will be the headliner of this card in his first defense of the WBC and Lineal Light Heavyweight Championship that he won by knocking out Adonis Stevenson last December. This will most likely be a mandatory defense with the rest of the card featuring most of the local Top Rank talent signed to their stable. Allentown natives the Adorno brothers, super middleweight contender Jesse Hart could return, along with the Sonny Conto. *Tickets are available for all these shows (except the Top Rank 3/30 Show). They can be purchased on the website of all the venues that will be hosting the shows.